Joanne Houston is a committed divorce solicitor who has practised in the Hampshire area since 1991 and a Resolution accredited specialist in ancillary relief and international family law. Just Family law is a bespoke family law practice located in Central Winchester, Hampshire offering workable legal solutions to clients and their families. Joanne Houston is the Principal and founder of Just Family Law and has practised as a divorce solicitor in the Hampshire area since 1991. Her expertise is recognised as a Resolution accredited specialist in high-net worth ancillary relief and international family law. Joanne is also a fully trained and practising collaborative lawyer with over 25 years' experience in family law. Karen Layland is a specialist family lawyer also with over 25 years' experience. She adapts a practical but strident approach to resolving your issues and has an enviable reputation and following from the Midlands to Dorset. Nicole Biggs is a committed divorce solicitor with 15 years’ experience and specialism in resolving financial and children disputes on divorce. Dallas Temple is our very experienced and capable legal secretary who will often be the first person you speak to when you phone the office. 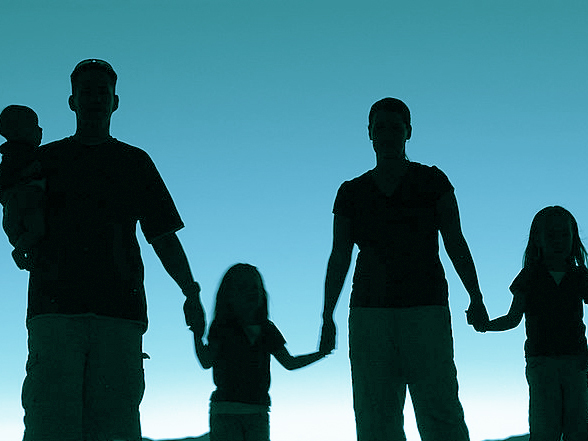 We provide a full range of family law services at the start of new relationships, when they break down and beyond. We act for married individuals, engaged couples, cohabitants, civil partners, ex-pats, grandparents and extended family members. Our services are not geographically restricted and we are able to represent clients nationwide and indeed worldwide. Our main office is in Central Winchester and discretely situated in a tucked away mews. If you are daunted by a seeing a solicitor about your divorce, please do not feel anxious about coming to see us. Our offices are comfortable, discrete and conveniently placed for the High Street and train station. Karen is based at our centrally located Bournemouth office and can also offer appointments in Southampton, Basingstoke, Oxford, Solihull and London. We aim to provide a comprehensive and holistic divorce service to steer you through separation and divorce into your new life ahead. We consider your needs, aims and objectives in respect of the legal issues. With our team of trusted advisors and family consultants we have access to support you to fulfil your personal, emotional and financial needs, goals and requirements in a positive and constructive way. We can also assist you with related services such as making a new will and a lasting power of attorney. We aim to provide a comprehensive and holistic divorce service to steer you through separation and divorce into your new life ahead. We consider your needs, aims and objectives in respect of the legal issues. With our team of trusted advisors we provide access to support to fulfill your personal, emotional and financial needs, goals and requirement. for a no obligation telephone consultation about how we can help.